Mulchi is a fruit of from Central America upto an elevation of 500 m. It is a close relative of cambuca (Plonia edulis). 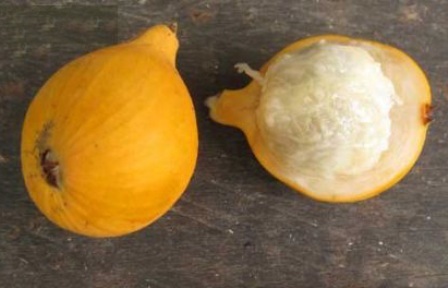 This fruit grows in Brazil, Peru and Ecuador. Though it is a good fruit to eat, yet it is not commercially cultivated and mostly collectors grow it home and public gaedens. 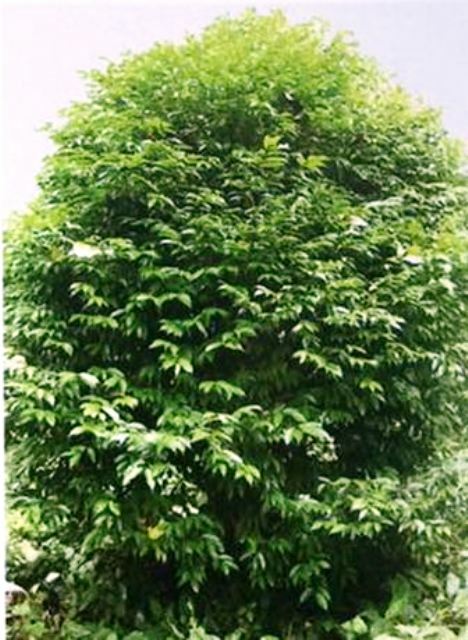 An evergreen tree, 4-10 m tall. Leaves elliptic oblong, 4-6 cm wide, 9-15 cm long. 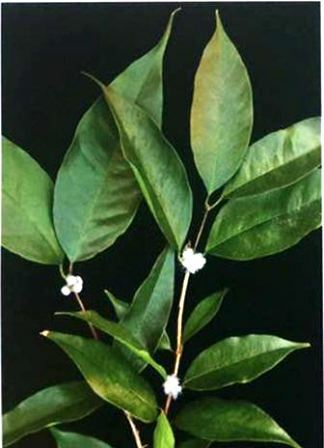 Flowers white, about 1 cm wide, borne in groups of 1-8 on trink, branches and also in leaf axils. Fruits pyriform, yellow orange at maturity, rind leathery, pulp white, light, spongy and juicy, sweet, very tasty. Muchi fruits are tasty and eaten out of hand. These are also made into jam or jelly. 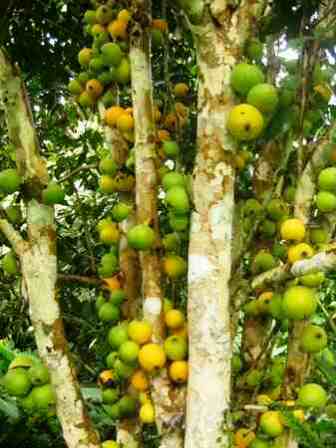 In Peru, a popular liqueur is from mulchi fruits. Mulchi is a multipurpose fruit tree. Besides providing tasty edible fruits, mulchi is also a good ornamental tree. So its planting in gardens should be encouraged. Mulchi trees do best in partial shade. New plants can be raised from seed.